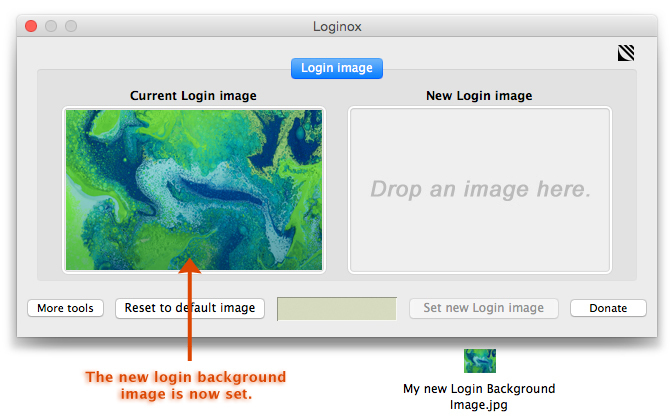 Customize your Mac OS X login screen (beta). Is there a better alternative to Loginox? Is Loginox really the best app in System category? 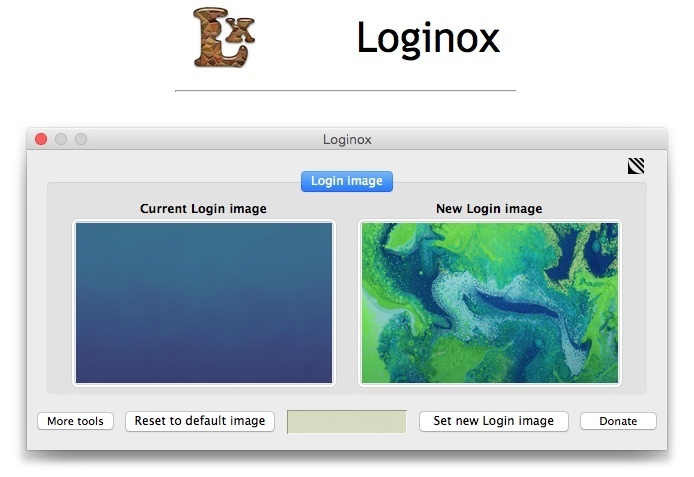 Will Loginox work good on macOS 10.13.4? If your Mac is password protected, the first screen you see after starting up is the login screen. This screen contains the default background image of Mac OS X, which can get boring after a while. 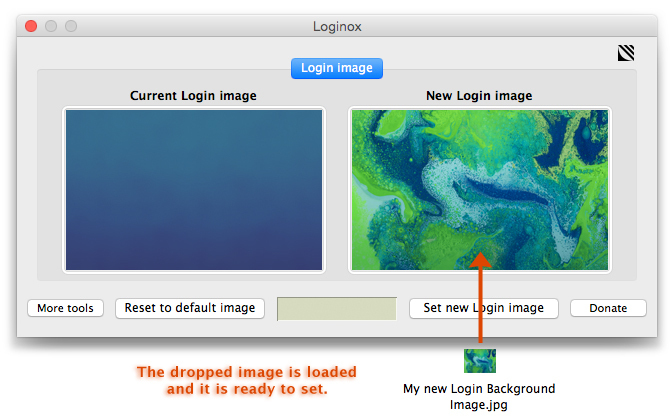 Use Loginox to change the login background image with a single Drag-and-Drop. Why navigate through all the folders on your hard disk? Drag a JPG or PNG image from anywhere and drop it into the main window of Loginox. A simple click on the Set new Login imagebutton will change the login background image. 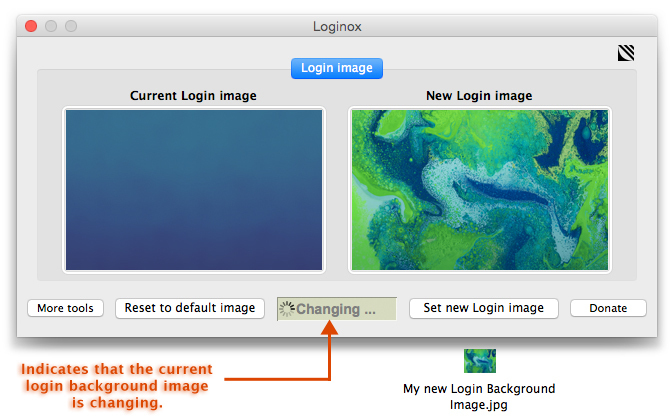 For switching back or undoing to the Mac OS X default login background image, just click on the Reset to default image button. The image size which you can define as background image is different. You can prepare your images also with Sizerox(www.sizerox.com) to have the right dimension and ratio for your customized login screen. Please note: The contrast of the login screen is set automatically by Mac OS X system. If your image has not enough contrast, the buttons at the bottom of the login screen are not clearly visible. In such cases, you may find another suitable image or edit the image and increase manually its contrast.